The harness may not work properly. Phil & Teds has recalled its Columbus v2 car seat because the harness may not lock after adjusting. This could cause the harness strap to not work when needed. 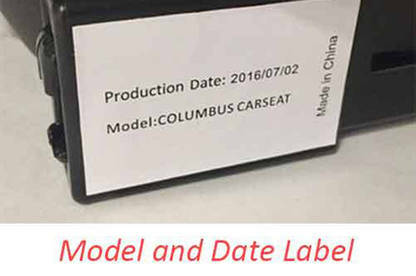 Potentially affected Columbus V2 car seats were manufactured between January 2016 and September 2016. The Columbus v2 car seats were sold in New Zealand from March 2016 to December 2016. The Model Identification and Production Date Label can be found on the outside of the bottom right base (see images). Stop using your Columbus v2 car seat and check if it is affected. 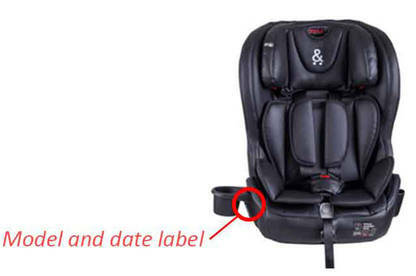 If your car seat is in the affected date range but has a green "QC" sticker, this means it has already been checked and passed by a technician so is safe to use. More instructions are available on the Phil & Teds website. If your Columbus v2 is affected, register on the Phil & Teds website to receive a free replacement car seat. For more information, contact Phil & Teds on 0800 119 437.